It is somehow fitting that the Decanter World Wine Awards should be held at Tobacco Dock in the East End of London. From the outside, Tobacco Dock looks like a women’s prison. According to its website, the massive building was constructed “in the early 19th century as a secure bonded warehouse for the receipt and storage of tobacco from the New World. Tobacco Dock was designed to offer complete security for precious and highly desirable goods.” Refurbished two years ago as an event venue, the place is ideal for wine tasting, full of natural light from the glass ceilings. And what is more highly desirable than wines of quality! I’ve been the Regional Chair for Canada at the DWWA for several years now and have seen it outgrow its first home — a photographic studio complex called The Worx in Parsons Green, south west London. 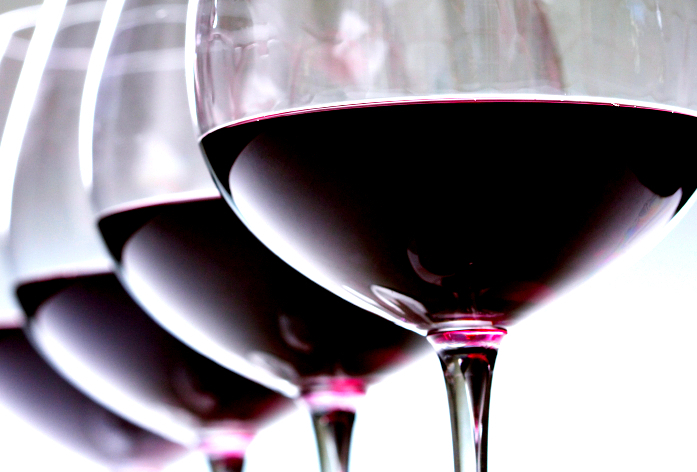 The 2014 competition received more than 15,000 entries, making it the largest wine judging in the world. The statistics give you an idea of the logistical nightmare involved in mounting such a competition: 220 judges from 28 countries (including 67 Masters of Wine and 17 Master Sommeliers). 6,000 Riedel glasses a day. 5,200 boxes of wines that have to be moved around; that means 60,000 individual bottles that have to be put in masking plastic bags, stickered with code numbers, arranged into flights and delivered to the panels. The woman in charge of this enterprise is Sarah Kemp, long time publishing director of Decanter Magazine (billed on its cover as “The world’s best wine magazine”). In 2003, she acceded to Steven Spurrier’s suggestion that the magazine mount a competition to rival the well-established London-based International Wine Challenge. Now that DWWA has surpassed the IWC in numbers there is no love lost between the two organizations. Steven Spurrier, whom you will recall set the wine world on its ear in 1976 when he organized “The Judgement of Paris” blind tasting, set the competition’s rules and is the chief judge. My fellow judges on the Canadian panel were Janet Dorozynski from Ottawa, Barbara Philip MW and Rhys Pender MW from British Columbia. After three days of tasting 245 Canadian wines we awarded 14 Gold medals, 36 Silver, 79 Bronze and 45 Commended (for the total results, see www.decanter.com/dwwa).